It takes all of us to volunteer and make the show a success!! 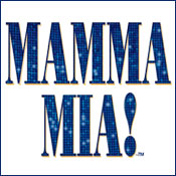 There will be 7 Mamma Mia (MM) shows we will need to staff. We expect each family to volunteer at least two times, but we welcome as much help as you are willing to give. Please also consider making baked goods or donating chips/goodies/drinks to sell at the concession table. Donations= Please read what counts as a volunteer slot. We've had a lot of really fun and interesting theme treats- Consider making "Disco, Greece, or Mamma Mia" themed goodies. Download app and scan electronic tickets as people arrive in lobby. Work at the concession tables before show/at intermission/after show. You will be able to see the show. Staff the table with T-Shirts, Flowers, Merchandise,etc - before show and during intermission. You will be able to see the show. Remain in the lobby during the show to direct guests who need to enter or leave the auditorium during the show.